In episode five of the freelance writing podcast that I co-host, Lorrie and I talked about what you could do on your website to optimise it for search engines. In this episode, we continued this discussion, talking about what freelancers can do to attract backlinks and improve their off-site SEO. Listen, enjoy, and let us know what you think! Philippa: Hello and welcome to episode six of the A Little Bird Told Me podcast, where two freelance writers talk about the highs, the lows and the no-nos of successful freelance writing. You can find us one the web at alittlebirdtoldme.podomatic.com and from there you can find all the links you need to subscribe, whether by RSS, iTunes or Stitcher Smart Radio. You can also find a link to our Facebook page for the podcast and also our individual websites, social media links and that sort of thing. My name is Philippa Willitts and I’m here with my co-host Lorrie Hartshorn. In episode five, we started to talk about SEO – or search engine optimisation. We discussed some of the ways you can improve where your website appears in the search engine results by what is called ‘on-site SEO’, which is things you can do with your website itself to help you rank well. In today’s episode, we’re going to talk about off-site SEO: all the other things you can do to help your website rise up the search engines. Lorrie: So, we’ve talked a little bit about on-site SEO, which is what you can do on your website to help improve your search engine optimisation. However, there’s a lot you can do off your website as well – so, off-site SEO – to help improve things further. Philippa: Absolutely. Now, off-site SEO is predominantly focused on back-links that is, links from other sites to your website. When Google, or the other search engines, are making decisions about where different websites should rank in their search results, one of the things they actually look at is how many other websites link to them. Because, if many top quality websites link to your site, Google considers that your site must be a respected authority, and ranks you more highly. In theory! Because, historically, this fact has been abused and websites gained rankings by getting really spammy links from spamming blog comments, forum profiles and low quality article directories. And so, spammy sites that were getting a lot of these spammy links were ranking better than good quality sites that just had a few incoming links. So, as a result, and continuing with their ‘animals beginning with ‘P’’ updates, this year, Google introduced the Google Penguin update, and this actually started assessing the quality of the backlinks to a website, rather than just counting the number of backlinks. Sites with lots of spammy backlinks are now being penalised, and there are desperate SEOs going round emailing other sites and begging them to remove the links to their sites. Lorrie: Yeah, I’m not surprised. Because it was getting to the point where the most highly ranked sites were spam directories – just lists and lists of links. You can understand Google’s perspective. It’s completely irrelevant and if people go on to Google and that’s all they can find, it’s no good for anybody. Philippa: Yeah. Because, from Google’s point of view, if someone searches with them and gets rubbish results, they’ll go to another search engine. So, it’s in Google’s interests to make search results work for people who are doing the searching because it is annoying when you search for something and you just get spam. Lorrie: And this is really what we’re saying – it’s in everyone’s favour for you to work with Google. There are plenty of guidelines out there on what you can do to be a decent website owner. In terms of actually developing quality backlinks, you can actually combine this with another aspect of successful freelance working, that I believe Pip and I have referenced at least obliquely in previous episodes, which is the creation of ‘colleagues’. And I’m saying ‘colleagues’ with giant air quotes around it because, as a freelancer, you don’t have colleagues. You’re not in an office. However, the work can be very isolating, so it’s in your interest to create a network of people you can talk to and share ideas with, as Pip and I have done – we’ve become very close. Now, as a writer, you’re often asked by clients to recommend other freelancers. When they see you doing a good job, they think “Ah, this person knows what they’re talking about, maybe they’ll know someone who can deliver another service to me.” Now, I’m often asked whether I know a graphic designer, a decent software developer, a good editor etc. and, by building up strong relationships with some of the best individuals you can find in these fields, you can improve your own service offerings and network – so you’ve got people to talk to and people to recommend when clients ask you, but you can also develop a strong backlink network for your website. And, I think it’s good to be discreet about doing this – although not secretive because that always comes over as sneaky – and to restrict yourself to freelancers whose reputations you trust, but you can actually contact someone and say, “I like what you do, I’m a copywriter/editor, you’re a designer/software developer – my clients are often looking for that kind of thing, how about we recommend one another? Some people have link pages on their website, some people are happy to give you a page of your own on their website. It’s whatever works for the both of you, it’s a collaborative thing. Philippa: Yeah. For instance, a couple of months ago, I did some work on a client’s website. The client was a web designer and I basically rewrote his site with SEO. And he was so pleased with the work that he said, “In my work as a web designer, I get asked all the time to recommend a copywriter – can I recommend you?” and I was like, “Of course I wouldn’t mind – that would be lovely!” Doing that job was one way of connecting with him. There are other ways, like Lorrie said, but yes – it works for him because he knows he has someone he can trust, it works for me because I get referrals. Everyone benefits, really. Lorrie: Yes, as Pip said, this is a person she had built up a relationship with him, she’d done a good job for him: that person trusts her judgement and is happy to recommend her. What I would say is that it’s important to restrict yourself, and not to go asking people you have barely any connection with if you can do a mutual link with them. The last thing you want is to spam people and make yourself look desperate for any and all back-links or, which is possibly worse, to affiliate your site with someone whose content or service offering is really, really questionable and could get you blacklisted – either by clients, who think “What are you doing with this person?” or by Google, because there’s something dodgy on that website? Lorrie: Why does this always happen to you? And so, then, I thought, “Is this a good idea from my point of view?” It’s certainly not a good idea from her point of view – I mean, I would have done a good job, but she didn’t know that. Lorrie: Oh, I don’t know – you’re pretty terrible! Philippa: Hahahaha! Oof, you’re mean! Philippa: That’s the thing. And then I started thinking that, just from that one connection, my impression is that she must be quite flakey. And so then I thought, “If she’s willing to pass work over to someone she doesn’t know, then this perhaps isn’t someone I want to associate myself with professionally because…how much respect does she have for the work she’s giving in? Lorrie: Yes, on face value it looks great: “Do you want to take some work off my hands?” – yes absolutely, it’s all work. But as you say, she doesn’t know you from Eve. Philippa: Yes, and that kind of attitude to her work, I didn’t want reflecting on me in the end. As it was, she never got in touch after that, which I was quite relieved about. But yes, it was strange, and that was an example, I think of trying to establish a relationship in the wrong way and for the wrong reasons. Lorrie: Hahaha! That’s probably a better analogy than my “snog snog” analogy, although I stand by it. Lorrie: Of course I do. Once I’ve committed to an analogy or a tangent, I’ll go with it to the end. But yes, how strange that she’s got such a casual attitude to freelance work when you absolutely wouldn’t do that with a salaried position. Another way to establish decent backlinks to your website is to get links from directories, although it’s important to research those directories to make sure that they’re reputable. Philippa: Yes, there are hundreds if not thousands of article directories on the internet but, nowadays, there’s only a handful, really, that are worth bothering with. Many people think that one called ezinearticles is the only one worth bothering with, but there’s also GoArticles and a couple of others that are reasonably highly regarded. Most aren’t.Ezinearticles have got stricter recently about the articles they accept in a bid to make it worth publishing to. The way that they’re supposed to work is that you publish an article to their site, and it has a section called the resource box where you can add your links to your site. Now, the way it works is that anybody has the right to republish your article, as long as you’re credited and the resource box is included. In theory, this can increase your backlink total as more and more people republish it if it’s a good article, and your resource box appears at the bottom. In practice, people often do break the rules and publish it without the resource box, and there is also the risk that the sites which are republishing them are low quality and this will have a negative effect on your SEO. Lorrie: Yeah, it’s something you’ve really got to be careful about. What I was actually thinking about when I mentioned directories was service directories, as well as article directories. Lorrie: Again, if you find a reputable service directory, say, for the town you live in or the services you offer, it can be worth linking to yourself from there. One website that we’ve mentioned a few times, and not always in the most flattering terms, so I suppose I’m eating my hat a little bit here, is LinkedIn. And, in a way, this acts in a similar way to a service directory in the sense that you can list your services on there in the form of an online CV. And, as long as you keyword it up and add in lots of specialisms, it can act as a really useful way of showing people what you can offer. On LinkedIn, it’s possible to add your website to your personal profile. You get about three or four boxes you can put links in – mine have my professional website, my Twitter, my Facebook and our Podomatic page. LinkedIn registers these as links but instead of displaying anything useful, it just puts “Twitter”, “Facebook” or “Website”, which is no good, because if someone searches for the word ‘website’, you’re not going to rank. What some people don’t realise, though, is that links from LinkedIn are quite valuable, and that they do count as backlinks to your website. And LinkedIn is a huge website, it gets a lot of traffic, which can be really useful to you. Now, one way to capitalise on this is to use one of the boxes…and there’s an option to click on the drop down box and register this link as ‘other’ rather than “website” or “Twitter” or “Facebook”. And then, instead of entering the name of your website, you can enter a key search term, such as “SEO Copywriting”. This way, you’re creating a link from a really high profile site that features an important keyword for your own website. Philippa: That’s a really good idea! Twitter profiles, as well, can also be a useful way to get a backlink to your site, as can Facebook Pages, Google Plus profiles and Pinterest accounts – anything like that, really. Another good way to get backlinks to your site, as well as building relationships with other website owners, is to publish a guest blog post on somebody else’s site. If you feel you’ve got something valuable to offer a website, contact site owners. Now, really only do this if you think you have something valuable to offer them! Do not do guest posts purely for the links, the site owners know and they don’t want to be used in that way. Do it because you have something of value to say, and to give, and consider the backlink to your site to be an added bonus, really. I’ve written a few guest posts for some reasonably prominent freelance writing blogs, and it was a great experience to work with the women that run the blogs was great, I got lots of really positive feedback about my posts and, also, I do get a fair amount of traffic from the links at the bottom of those posts, so as well as providing good content for them, I do get a nice bonus of backlinks and traffic too. Lorrie: Absolutely. I think you make a really good point about the fact that it has to be quality content. It’s amazing how many people seem to forget that when it comes to online activity. If you’re a professional writer and you’re writing rubbish, it doesn’t look good! I really can’t stress this enough. Philippa: Hahaha! It doesn’t help your business! Lorrie: No! If you contact a website owner and say, “I’ve got a really good article and it’s about four lines, and it’s about how night follows day” or some other unexciting topic that everyone knows about, you’re going to look stupid. Even if they do publish it, you’re going to look an absolute fool. But, if you do it well, I really do think the benefits are two-fold: you don’t just get the direct clicks from the website, as Pip says – that’s people come and have a look at who you are and what you offer – but it does also help you to build up a store of reputable results for your name. I get a lot of people saying to me, “I Googled you.” Or, if they’ve spotted me on Twitter and they want to know a bit more about me without asking me…because people are always scared that I’m going to correct their grammar! People say, “Ooh, I didn’t want to talk to you because I was scared you’d correct my tweet” – because that’s how I get my kicks, apparently! Haha! But yes, if the Google results are linked to informative, worthwhile, engaging content, and then your website’s at the bottom, you’re upping the chances of your newest potential client being exposed to your work – and your good reputation, and then your website. If you’ve got your “contact me” page on there, it’s in the bag. Philippa: Absolutely, and you start to get established as an authority in your area, which is so valuable for your business, especially online based businesses. Lorrie: In terms of building up your reputation as a bit of an expert in your field, it’s good to embrace your own strengths and skills from time-to-time. As we’ve said before, we Brits are pretty bad at doing this – we sort of hide in the corner and say, “Yes, well I suppose it was alright really! I suppose that, yes, it was rather well done!”, but it’s alright to shout about your achievements now and again. Philippa: Yeah, it’s interesting because press releases are things I write for other people but it never occurred to me that I could write a press release about my own business. But it’s absolutely right. Lorrie: It’s true. Like anything else, there are a couple of guidelines. Firstly, and this taps into what we’ve said about online articles and guest posts and things, you need to make sure you actually have something to talk about. “Freelancer gets up at 8am” is not press release worthy! Philippa: Hahaha! Although it might feel like it if you do! Lorrie: It certainly does! I was thinking, “No, no, 8am’s not too early!” but it really is! Haha! Yes, so you need to make sure the people and organisations you send your press releases to are actually a relevant target for it. Depending on what the subject is, you might decide to tell the local press, in which case it’s time for a bit of easy research on Google. Alternatively, you might send it to a database of followers – people whose contact details you’ve got from your website, so clients, corporate partners, suppliers, colleagues. And you can send your news to them in the form of an e-bulletin – if they’ve opted in to receiving correspondence from you. Philippa: If and only if! Lorrie: That’s for people you know – if it’s for the press, by all means send them what you want, just don’t do it too often because they’ll just block your email address. If you do decide to head down the route of delivering a press release to people, I really can’t…honestly, this is my phrase of the podcast, I think, I cannot stress this enough – or over-enunciate it enough either! – learn how to write a press release first! Now, I can almost see Pip wincing but press releases…it’s amazing how wrong people get them. Philippa: It is. They are a very…what’s the word? They have such a strict format and, for whatever reason, while the format of other things might be more relaxed or changeable, a press release has a set format that you have to adhere to. It’s just how they are. You just have to. Lorrie: I wrote a press release once for a client and, I’ll admit it, they said, “I don’t like it – I’m going to do my own!” And I thought, “OK…fine…”. And they forwarded it to me along with about 100-150 other people. They forgot to BCC everybody, so everyone got everyone else’s email address, which is a legal issue in itself. But the press release had pictures embedded in the text, bubble font at the top, no date on it – it was just immensely awful. Philippa: I actually have a list of instructions for myself for press releases, just because there are so many little bits that have to be included. So, just to remind myself that you have either an embargo date or ‘for immediate release’ written at the top. And, all those little points that it’s easy to forget and that you must not forget – so yeah, I actually have instructions for myself to make sure I don’t miss any of the formatting out. Philippa: Even if you’re a blogger – I can speak from experience – we get press releases all the time. Lorrie: I bet you can spot immediately which are well written and which aren’t. Lorrie: So, a press release isn’t just any old bit of writing – it’s a serious piece of work, and an official announcement. So if you muck it up, you’re not really announcing your news, you’re just announcing to the world that you’re completely inept. So be warned! It can be a great thing to do to drive traffic to your website. If other publications, like local press, pick it up, it can end up on their websites. Backlinks are great, but if you get it wrong, God help you. Philippa: Yeah. Another way – and probably the best way, actually – to get good quality backlinks is to stop thinking about “How can I get backlinks” and gaming the system, and instead, publish content that is so awesomely brilliant that other websites just can’t help themselves and link to you because it’s so good. Like with on-site SEO, if you concentrate on providing brilliant information that’s presented in an interesting way, others who love it will link back naturally. Philippa: Yes, I noticed that the other day – Tumblr’s a really effective way. Lorrie: So these are all a brilliant way of creating backlinks to your website if – and this underlines a point we’ve made already – you’re actually posting some quality content. If you’re using YouTube, for example, don’t upload crap. Don’t upload junk videos to YouTube and expect relevant traffic to come flooding over to your website. Equally, as I’m sure Pip can testify, if you get on Pinterest but post nothing of interest, you’re not putting the interest in Pinterest, or working the system properly. You’re just wasting everyone’s time, mostly your own. So, as Philippa says, forget about working the system, and do something that you enjoy and can stick to. That way, it’s sustainable, and it’s far likelier to have better results. Philippa: Yes, I really like Pinterest. I mainly use it in a personal way – I pin recipes I like the look of, and cartoons that I like, but I do have a writing board and a social media board, where I post relevant. I get a good number of clicks through from those but, if you’re like Lorrie and you hate it, don’t force yourself to do it just to get some clicks – value your time more than that. Philippa: Well, no, we’ve all got our preferences and that’s fine! Lorrie: I like it for about five minutes, then I think, “What am I doing?” It’s not that I don’t know how to use it – I follow people like you and I see what you’re doing – but I think basically, I can’t maintain the interest for long enough. Philippa: And I think that would show, if you’re really forcing yourself to do it, you probably wouldn’t get good results anyway. The same point applies to this podcast. We started this podcast for many reasons – we wanted to share our knowledge and experience and help other freelance writers, we wanted to promote our work, and so on. But an added benefit of the podcast is that we get backlinks from the podomatic website. We provide the links to our sites primarily so that, if anyone listens and wants to get hold of either of us, via our websites or – more commonly at the moment – our social media accounts, they can do so easily. However we also can’t deny that backlinks from a popular site like podomatic doesn’t do us any harm! Lorrie: It’s true – and it’s not something to be ashamed of. The point is, we spend a good amount of time every week planning what we’re going to cover, thinking of topics, researching, asking people what they’d like us to cover. We take our time thinking about it, having a good old chat and, hopefully, covering some really good topics. We’re not publishing junk. Philippa: There was a phase a couple of years ago where, in order to get backlinks, people would get some awful text to voice reader to read their blog posts out in some robot voice and then publish them as podcasts. As a podcast fan, it was horrible to see a new podcast post and think, “That looks really good!” and then it would be one of those. Urgh, it was horrible! Thankfully, I’ve not seen too much of that recently, but that’s the kind of thing you don’t want to do. Lorrie: No, and as you say, we’re only on Episode 5 of this podcast now, but it’s something that’s really had a number of benefits. I know I speak for both of us when I say it’s been a really great way to develop organic discussions across all of our social media. For myself, it’s attracted a lot of people to my website. I’ve made new contacts on Twitter, it’s been really helpful for a number of my professional services – actually the copywriting, editing and proof-reading. If people talk to you, or listen to your podcast and find you helpful, they remember you for it. The same obviously goes for guest posts and blog comments. Philippa: Yes, it’s been the same for me. I’ve made some really great new contacts and had some amazing feedback about the podcast too – yeah, it’s great! Lorrie: Yeah, this week has been amazing for feedback, and it’s really given us a good idea of the kinds of topics people would like to see covered so it’s a sustainable thing. Philippa: We’ve talked before about blog comments as a way to make people aware that you exist. Blog comments are also frequently abused by spammers (as anybody with a blog will know!). Commenting on blogs is not a great SEO tactic on its own. Most links in blog comments tend to be what is called “no-follow” links, which means that the site owner is essentially telling Google in its code that they do not want them to consider this link to be any kind of recommendation. But, that’s not to say they are entirely useless – if you post helpful and useful blog comments, you’re likely to get clicks from them. And then, if people like what they see, you might get a genuine backlink recommendation. Philippa: I do, too, in an unhealthy way! Lorrie: Haha! It’s true, you do post a lot – but I always click them! Philippa: I’m obsessed! But yes, people always do click them. And, a little tip here – if you post an infographic on Pinterest, it’s nearly always impossible to read so people always click on the pin to go to the original site. Little tip there! Philippa: The creator of the infographic usually allows it to be shared on anyone’s blog as long as there is a link back to their original site. Lorrie: Yeah, it’s not even always an active link, is it? There’s sometimes just a little graphic at the bottom but, again, it’s better than nothing. Lorrie:…and you prefer to have just your name attributed to that piece of work, get in talks with a designer, get a contract in place – really important – deliver the content and then pay them to design you something really lovely that you can then promote across your social media. It would be worth getting Pinterest for that. Philippa: Yes, definitely. The thing is to come to arrangement with the designer, as Lorrie says, so you either share the credit for the infographic or, if you come to an agreement with them that you will have ownership of the original design as part of the contract, then the backlinks – and all the glory – can be all yours! Some other ideas for backlinks: Some people create a powerpoint presentation, or a pdf document with embedded links, on a subject that they specialise in. They then post it on document sharing websites – Scribd is the most common one – and if the document is really useful they can get a lot of clicks from there. Similarly, we mentioned Pinterest earlier. If you’re interested in promoting your site on Pinterest, make sure you use attractive images on your website, which you can then share on Pinterest, and, if other people like them, they’ll repin them, which constitutes another backlink. Really, there’s an endless number of creative ways to gain links to your website. Lorrie: I think that’s it. Rather than gaming the system and weaselling your way to the top of Google like a sneaky beast, actually just come up with some decent ways of getting natural traffic – attract people, not search engines. Search engine optimisation will follow. A lot of tips on here are about that – it’s just about creating quality content and attracting people in an organic way. Philippa: Be brilliant! Be as brilliant as you can and, some day, someone will spot your brilliance and share it on Twitter. Then someone will see it and think it’s great and link to it from their site. And then someone who likes their site will follow the link and share it on Facebook. What Google is looking for is that kind of process. Lorrie: You can’t design a network of links that’s that complex. When something’s picked up naturally across social media, it moves so quickly – you’ll be everywhere. On my personal Twitter account, I get retweeted a lot because I’m quite the rhetorical genius when it comes to be angry – I can get angry and eloquent very quickly when it comes to topics I’m passionate about (politics, feminism, whatever) and it gets you retweeted hundreds of times. You can apply the same kind of thing to your professional account – I posted something the other day, and it wasn’t mine so I gave credit to the person who created it, and it was a post about how to decide what kind of social media suits you…using bacon! And because it was so strange and weird…Brits love surrealist humour, don’t they? If you want to take a picture of bacon, you should be on Instagram, if you want a bacon recipe, go to Pinterest. I’m eating bacon – that’s Twitter, I like bacon – that’s Facebook. It was really just a good way to explain what the social media feeds do and people like it – it’s a professional account but it’s a bit of light relief for the middle of the day. Philippa: And whoever created that will be really benefitting from having created something that really clicked with people, and then that you shared and that other people shared via you. Lorrie: Yes, so be interesting, be funny, preferably be both, and it should work for you. Philippa: It can be difficult to be so brilliant when you’re describing your services that the content will be shared, you can have a blog attached to your professional site. I have a blog attached to my Philippa Writes site, as well as my Social Media Writer site, actually. So that I can post things of interest that aren’t immediately relevant to ‘The Business’ that need to be on pages of their own. Like, posting episodes of this podcast, for instance. Lorrie: Yes, I do the same thing – it’s a nice way of attracting traffic, making sure you have regularly updated content on your website and building up a bit of context – people like to know who they’re dealing with. You post something interesting and relevant and a bit witty, they know who they’re dealing with; they know you’re a personable sort of person, if you can say that. It just gives a bit of context – even if it’s not something you wouldn’t give a page over to, it’s still allowing you to update your content regularly, which is great for SEO, and it gives an insight into what you find funny, interesting or amusing. It helps to build you a 3D profile and people like to know who they’re dealing with. Philippa: Yes, because at the end of the day, people are hiring a human being. 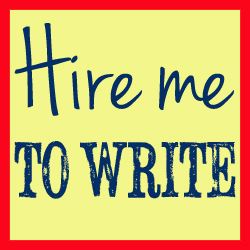 There’s a reason there’s no freelance writing software, it’s because they want a person to do it. If you can show a bit of personality, that attracts some people. Lorrie: I think, as we’ve said, it’s all about being natural. Philippa: yeah, don’t force it. Don’t send a spun article to 800 directories – you’re fooling no one. Don’t put keyword-stuffed content all over your website. Just be brilliant – that’s my message for the podcast – be as brilliant as you can, and it will work. Lorrie: True. You’re a freelance writer, so now’s the time to prove you can write quality content. Philippa: Definitely. So, we’ve covered a lot there about search engine optimisation. We hope it’s been useful. Make a start! Do some of the on-site SEO ideas we’ve given you, and start thinking about some of the things you can do with the rest of your site, your work and your social media profiles to get attention for the right reasons. Lorrie: So, really hope you’ve enjoyed this podcast. As ever, thank you for listening. If you want any more information on either of us, you can go to the bottom of our Podomatic page and all the links are down there. As Pip says, we’ve included some information this week just to make sure you’re not lost with all the new words and phrases we’ve used. Because everyone’s learning, so if there’s anything you don’t understand, it’ll either be at the bottom of the podcast or you can contact one of us on social media. We don’t bite – I don’t correct people’s grammar when they tweet me, I’m pretty nice. If there’s anything you want to discuss, anything you didn’t understand, or an idea or an opinion, let us know. Philippa: Yep, drop us a tweet, come on our Facebook page! Do it! Philippa:…and I’ve been Philippa Willitts. Thank you so much for listening and we’ll see you next time.